June 8 Rusted Root The Slowdown, 729 N. 14th St. 9 p.m., $20, theslowdown.com Pittsburgh, Penn., has been spitting out some hot artists recently. Wiz Khalifa and Girl Talk have drawn plenty of attention to the city over that past few years, but there have been a couple of other Pittsburgh groups that came along way before “Black and Yellow” hit the airwaves. 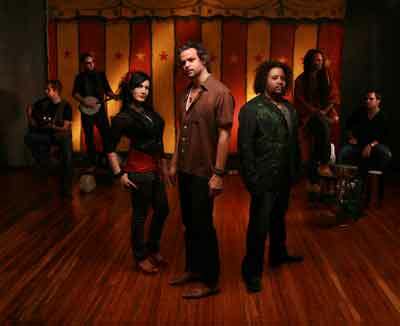 Rusted Root sprouted in 1990 with its eclectic fusion of world music, folk and acoustic rock. Core members Michael Glabicki and Liz Berlin have fronted the six-piece outfit since its inception. Earning platinum status, 1994’s When I Woke was a hit on college radio stations and the group was seemingly on its way. Unfortunately, Rusted Root lost steam and 2002’s Welcome To My Party was considered a disappointment to loyal Rusted Root fans, affectionately called Rootheads. Now touring and apparently refocused, the group is heading back to its original style, embracing the world music vibe it emitted in the first place. It has been a long time since Rusted Root played at The Ranch Bowl; let’s see what they have in store for Slowdown.